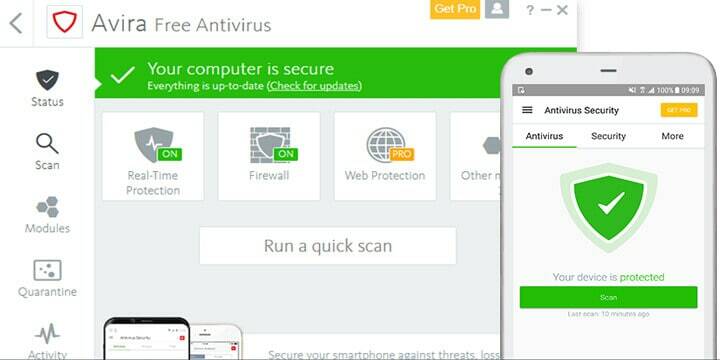 This Avira review takes a look at an offering by a world-renowned German Antivirus software production company. Although all their other products are high quality, do they have what it takes to make the cross over into the somewhat overcrowded VPN market. 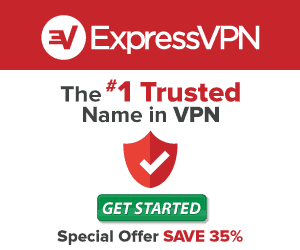 The company does offer a premium package that includes Phantom VPN, Avira Antivirus, Avira Software Updater, Scout secure browser, and Avira Connect. However, here we will be focusing on their Phantom VPN. With 36 server locations around the globe, we found like many other Phantom reviews; the network can come to a crawl depending on your location. For New Zealand users, this wouldn’t bode well because there are no servers in the country. Users who wish to change protocols will find there are no options to do so. They use OpenVPN on Windows and Android, and on Apple products, the service uses Layer 2 Tunnelling Protocol (L2TP)/Internet Protocol Security (IPsec). With this restriction, you will find there is no Split Tunnelling option, and you can’t change between TCP and UDP. Some minor logging is carried out, and they will retain your name, address, tel number, email address, and credit card information as part of PII (Personal Identifiable Information). On top of this, they might also keep identification number, IP address, location, contents, language settings, and IMEI code. The company also logs the Device brand, model, battery level, hardware model, operating system version if the device supports it (mainly mobiles). The most significant problem here is, this logging is across the board for all of their products, so if you sign up for one, they can quickly log what you are doing on their VPN. There is no such thing as a free VPN server, and they always manage to obtain information if they want. The company also asks users permission if they can share data. This data sharing will go to marketing firms and will be the way they fund their free version. With so many features locked down, there is no chance for users to break anything which is good. The client VPN software is straightforward to use, much of this being you can’t do anything apart from connecting or disconnecting. Android and Apple apps are the same as the Windows client which is a nice touch, but even with the ease of use, there are more downfalls in store for users. Avira VPN makes no mention of torrenting, they don’t say if they allow it or condone it, and if they did, users should carefully think twice because of the data that is logged. Netflix is one of the primary go-to streaming services users use a VPN service for. Earlier in the year, Netflix could be accessed, but during testing, it was a no go. If it could, the slow speeds might not be sufficient to stream without significant buffering. 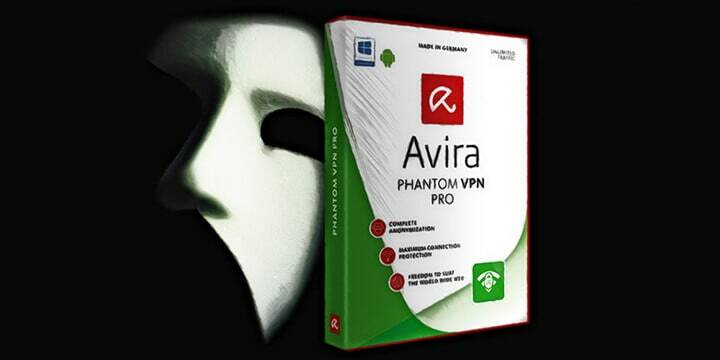 The Avira Phantom VPN Pro offers two different plans depending on the devices you will use. Although they provide a free version of their VPN, this only comes with a 500Mb limit so it will be highly restrictive for regular use. As a quick solution to using public Wi-Fi it could suffice, but after that, there is no reason for any user to use it. Even if you wish to test the full service, the Avira VPN comes with a 30-day money back guarantee, so again, there is no reason for the free version to see what the service has to offer. Annual Plan: $6.50 per month and billed annually. This plan is for Windows (Win 7 and higher) and MacOS. This allows unlimited devices to be connected which is very generous, but as you can see from their performance being at a crawl, a home network could face severe slowdowns. The mobile plan is somewhat different. It offers support for Android and iOS, this again it says you can use on any number of devices. With this, there is no annual plan, and you must pay through the in-app payment system. Payment options are severely restricted to credit cards and PayPal. Any user who wished to remain anonymous won’t have much chance. This also comes with the 30-day money back guarantee. Customer support is nil on the free service, and hit and miss on the paid for package. With no live chat, it is ticket and emails only. One quirk is you need to log into the website before you can send an email to the support desk. The response can take 24-hours or into the next day depending the time submitted. 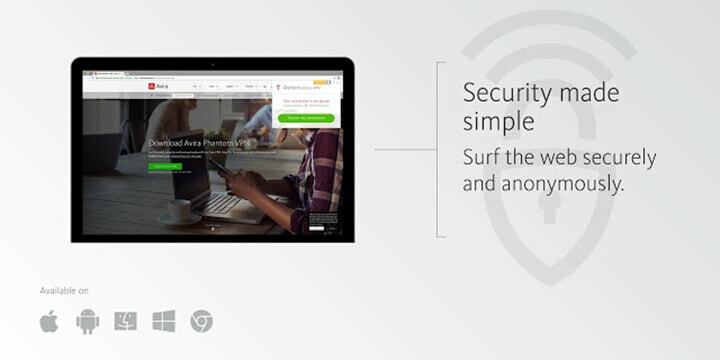 After putting the Avira VPN through its paces, it shows there is much more to creating a good VPN than a large corporation throwing money at the service. Networks take time to build, so speeds are as fast as possible and allowing multiple users isn’t a replacement for reduced speeds. The same can be said for the logging, the customer support and the overall lack of features. However, it isn’t all doom and gloom because the company does provide a secure connection, they do offer a very slick interface which happens to look better than some of the competition. However, weighing up everything, with one plan for a desktop, and then a separate one for mobile devices, this makes it an expensive option compared to its rivals. Avira does make good products, but as of yet, they need to plow a lot more work into the good points of Avira Phantom and make it a worthy addition to the VPN market.